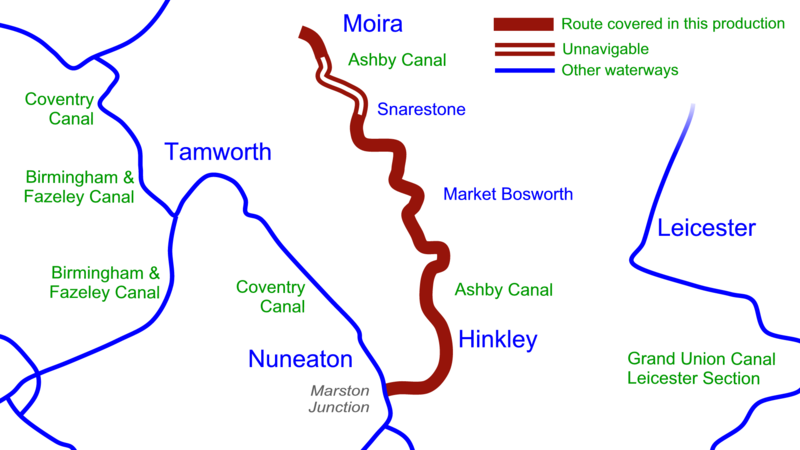 We follow a cruise along the Ashby Canal from Marston Junction to Snarestone, then look at the restoration work towards Moira. A relaxing, lock free cruise takes us through the wonderful countryside along the Ashby Canal stopping at some of the villages and towns along the way. In the Popular DVD we’ll continue on foot from the current limit of navigation at Snarestone to look at the section proposed for restoration and we’ll complete our journey with a visit to the Moira Canal Festival and a look at the final section of canal which has already been restored. Route covered by the Ashby Canal DVDs. 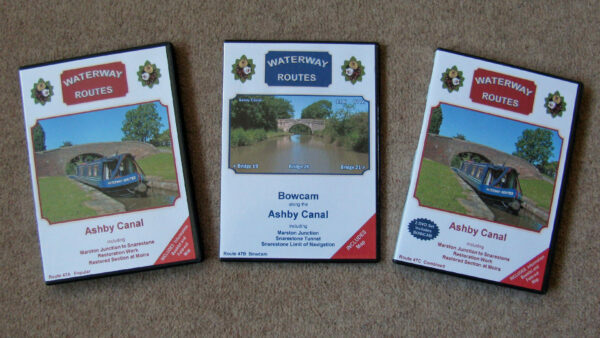 Ashby Canal DVDs in a choice of formats. 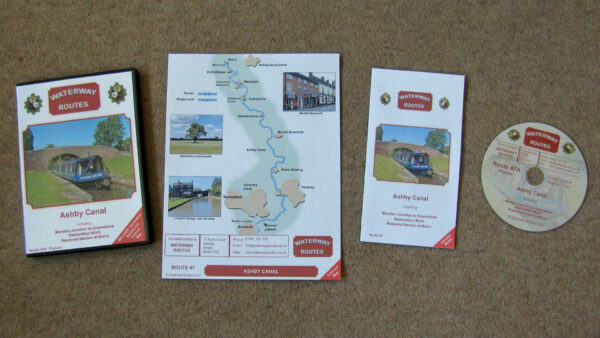 Contents of Ashby Canal Popular DVD. 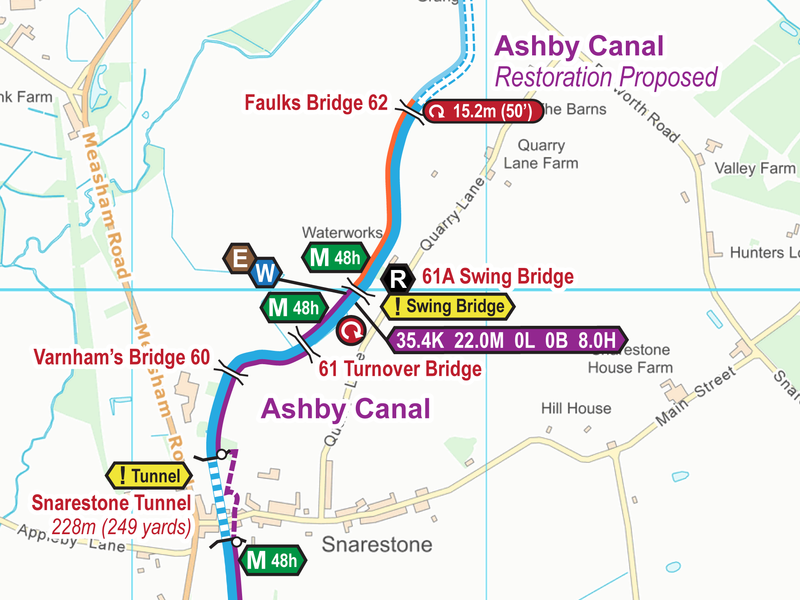 Extract from my Ashby Canal Maps. Read more about my Ashby Canal Maps. 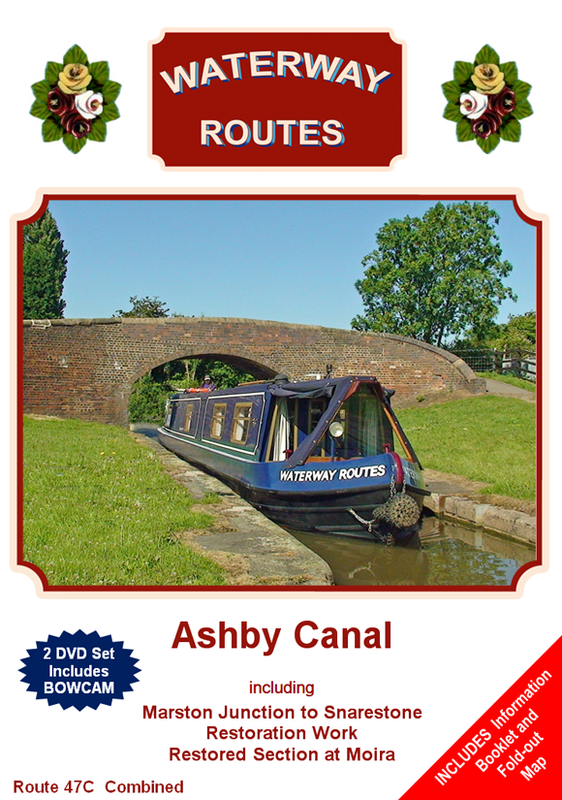 Save 10% on both when you buy an Ashby Canal Map and DVD together. Automatically deducted at checkout.